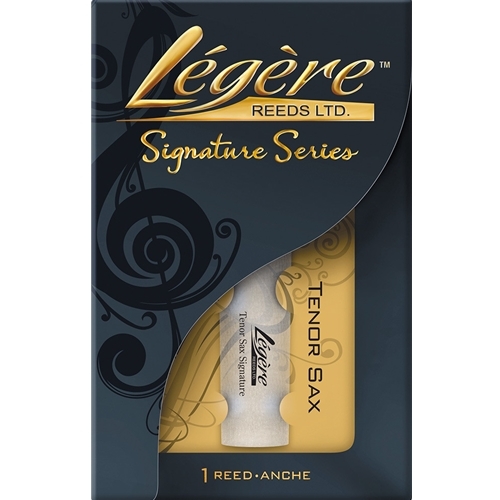 Legere Signature Tenor Saxophone Reeds #2.5 The Signature Series for Saxophone respond without hesitation. They are thinner and stiffer than a traditional cane reed, making them easy to play and beautifully free-blowing. They produce a pristine, centered sound with colourful overtones. This reed is bright yet focused which is why it’s preferred worldwide by advanced and professional players in both jazz and classical settings.